The little pups even wrestled and played in front of the lens. 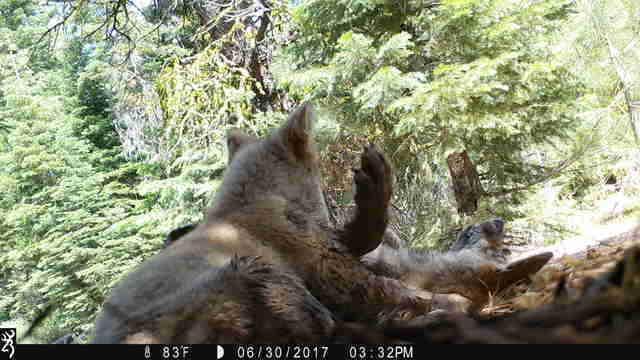 A special little family caught on a trail camera in Northern California is a promising sign of hope for what was once a very endangered animal. Because of hunting and habitat loss, gray wolves were almost entirely wiped out in the U.S. by 1920. But thanks to conservation efforts and protections from the Endangered Species Act (passed in 1973), the animal has slowly started to come back. 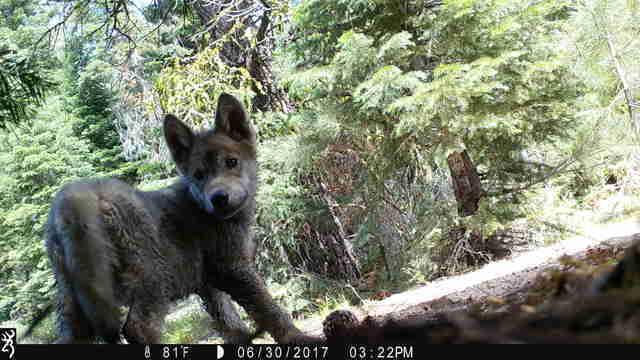 So last year, when two gray wolves were seen on a camera wandering through the woods of California, wildlife biologists got really excited. 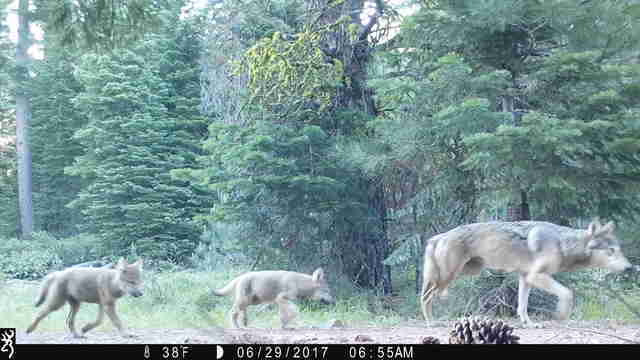 There has only been one other pack of gray wolves in the state since the animals were extirpated in the 1920s. The next day, biologists went out to try to find evidence of this little family. Sure enough, they found little paw prints they hoped were those of the wolf pups. 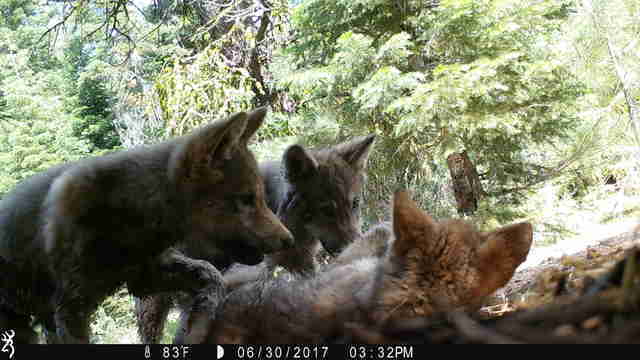 And just a few days later, a trail camera in Lassen County confirmed the birth of three pups, only the second known birth of California gray wolves in a century. And the pups gave the camera quite a show. They played and wrestled in a little pile right before the lens. 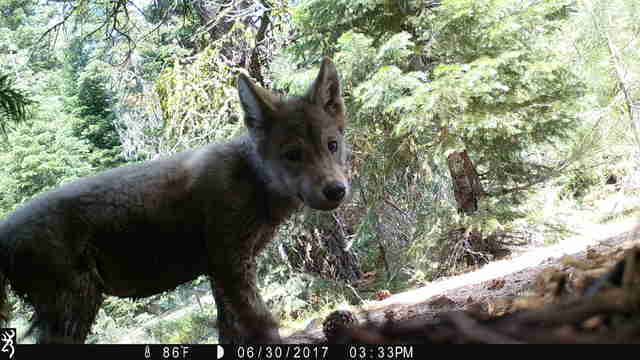 While this pack is pretty safe because of protections for gray wolves in California, across the nation, there have been efforts to roll back protections for gray wolves, even though they were on the verge of extinction not so long ago. Some states, like Idaho and Montana, have already removed wolves from endangered species protections, making them vulnerable to hunting. And earlier this year, hunting gray wolves became legal also in Wyoming, while inhumane hunting practices impacting wolves in Alaska became legal again. Meanwhile, a bill currently being considered in the Senate proposes stripping wolves of protections in the Great Lakes region. 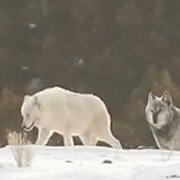 "Thousands of wolves have been killed in Idaho and Montana since the delisting [in those states] in 2011," Brooks Fahy, executive director of Predator Defense, told The Dodo recently. "Those states and others have proven how state wildlife management agencies are incapable of just letting wolves be wolves." To help protect wolf families all over the U.S., you can make a donation to Predator Defense.